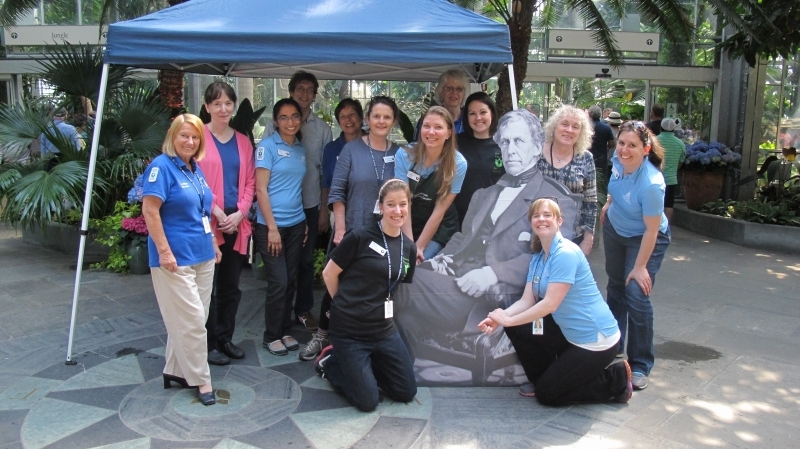 Become a U.S. Botanic Garden Volunteer! 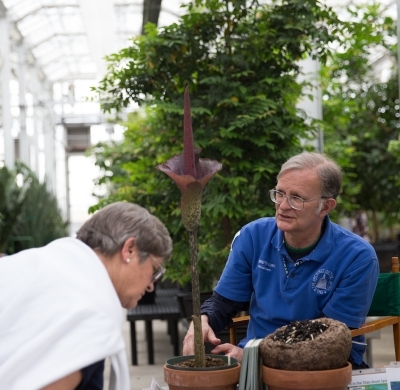 U.S. Botanic Garden volunteers have a common sense of purpose in identifying with the Garden's mission of demonstrating the aesthetic, cultural, ecological, economic, and therapeutic importance of plants to humankind. Have you ever wondered how you could be part of the experience? Volunteers are professionals, hobbyists, retirees, or employed full-time. Volunteers must be 18 years of age. Through their time at the Garden, volunteers develop new skills, explore their personal interests, and make significant contributions that enable the Garden to fulfill its mission. Volunteering is a great way to meet others and connect with the community. To learn more about volunteering at the U.S. Botanic Garden, please review our Volunteer Program Frequently Asked Questions and current volunteer opportunities listed below. If you are interested in volunteering, please submit an application. You may contact Elizabeth Barton, USBG Volunteer Coordinator, with any questions by phone (202-226-8066) or email (Elizabeth.Barton@aoc.gov). Our current recruitment period for docents has ended. Please check back in Fall 2019. Interested in giving tours to USBG visitors? Join our docent team!